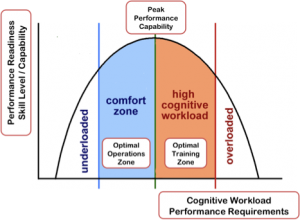 Our applied cognitive research focuses on human factors in skilled performance. 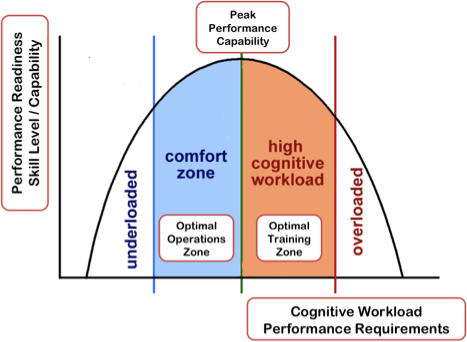 Skills depend on declarative knowledge representations and procedural processes to guide action. 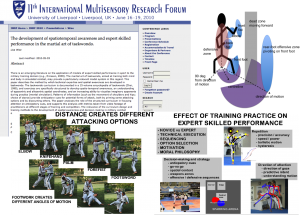 Basic processing capabilities are built-in to our human sensory apparatus and these information processing strategies are matched to human sensori-motor capabilities. Our research examines the extent to which in-built human information processing strategies place constraints on perception in the context of sensor fusion and complex information management. Our applied research on digital technologies and training can inform training system design for the digital generation. Young people who have grown up in a digital world may potentially spend as much time interacting with digital technologies and virtual worlds as they do with the real world around them. As a result of this trend, researchers and practitioners are now considering how best to leverage new technologies for educational and training purposes to better engage with the assumed learning style of students from the digital generation. The current shift towards online and blended learning environments within higher education is premised on the idea that young people (the so-called “digital natives” of the 21st century) have differently wired brains and a newly evolved understanding of the technologies they have grown up with. We explore some of the conceptual issues in the area of teaching and learning and emphasise the degree to which good teaching and learning practices are independent of technology. Will a cohort of “digital natives” dictate changes in methods and media used for instruction? Will “digital natives” require formal instruction in some areas of previously-assumed knowledge? What are the digital literacies required for instructors and trainees, over and above traditional literacy, numeracy and critical thinking (information literacy) skills? How do these fits with current instructional practices in education and training? A number of our research students are working on how digital technologies and social media are being used and how they change existing modes of communication and engagement with people, objects and ideas. The concept of problem internet use requires an understanding of motivations and the ability to self-regulate our behaviour. It also requires consideration of the concept of engagement, immersion and interactivity. Consideration of cyberbullying requires a conceptual understanding of the notion of bullying, and the personality factors that contribute to bullying and more generally, victimisation. The concept of identity and how social media influence the emergence and projection of identity across the lifespan requires consideration of a number of important psychological constructs, but also requires a clear understanding of the way that technology works.